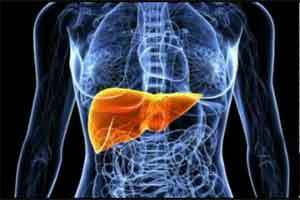 The researchers carried out a study in collaboration with the Universities of Liverpool and Oxford and have found out that a new Digital scanning technology could almost halve the number of liver biopsies carried out on people with fatty liver disease. In this study LiverMultiScan was superior for grading disease severity and excluding people at increased risk of disease progression, compared to the other tests evaluated.The study has been published in Alimentary Pharmacology & Therapeutics. The authors of the study, also carried out in collaboration with the Universities of Liverpool and Oxford, concluded that 458 out of every 1,000 liver biopsies could be avoided if people are first assessed using scanning technology. The study provides evidence that using the non-invasive technology as a first-line test can rule out the need for further liver tests, and could stop patients having unnecessary biopsies. The researchers calculated it could potentially save the NHS around £150,000 per 1,000 patients. Liver biopsy is the current gold standard for assessing liver disease, however a global rising prevalence of non-alcoholic fatty liver disease (NAFLD) means there is a need to develop fast, non-invasive and cost-effective ways for assessment and diagnoses. In this study, 50 patients and six healthy volunteers at Queen Elizabeth Hospital in Birmingham and Royal Infirmary of Edinburgh underwent digital image scanning, and the results were processed by clinical and imaging specialists. A summary of three biochemical characteristics of the liver as well as the images were then used as a new way of helping doctors to diagnose fatty liver disease. Professor Philip Newsome, Director of the University of Birmingham’s Centre for Liver Research, said: “Non-alcoholic fatty liver disease is on the increase – the prevalence is estimated at around 20-30% in the UK. “As numbers are expected to grow, this will undoubtedly have a major impact on the nation’s health, and will place a significant demand on NHS resources. Professor Gideon Hirschfield, also of the University of Birmingham, said: “It is clear that there is a rising burden of liver disease, particularly from non-alcoholic fatty liver disease. Our study is of importance to evaluating the best pathways to offer patients who need evaluation of their liver health. “Whilst liver biopsy remains an important part of advanced Hepatology practice, clearly we need better non-invasive tools at our disposal to evaluate the nature and severity of liver disease. The new scanning technology used in this research was called LiverMultiScan™ and was developed by Perspectum Diagnostics. CEO of Perspectum Diagnostics Dr Rajarshi Banerjee said: “A LiverMultiScan can help a patient see liver disease and act on it. Digital health will improve the way we practice medicine; in this case, a painless scan is clearly safer than a biopsy needle, and is far better suited to monitoring patients.